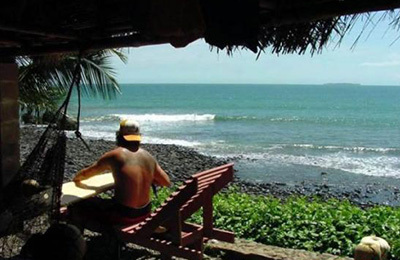 Playa Cambutal Surf & Yoga Retreat - Los Santos, Tonosí District Guests overall rating: ☆☆☆☆☆ 0 based on 0 reviews. Offering the best transformative experiences, for every individual, Playa Cambutal Surf & Yoga Retreat is a unique space, located right on the dark sand beach of the wild Pacific coast of Panama. It is not your regular vacation resort. We have access to an awesome all level beach break within a 10-minute walk, and countless other breaks just a short drive away. Whether you are a beginner or advanced surfer, our holistic hands-on approach will transform you and your practice, giving you all the tools and confidence to have the most fun on the breaks – and giving you the rest you need during your holidays, leaving you refreshed and energized. From tropical garden cabanas to oceanfront suites, there is something for everyone. Our cabanas are designed uniquely to accommodate one to four adults, perfect for solo travelers, couples, friends or families. Just steps away from the warm water of the Pacific Ocean. During your stay enjoy mouthwatering, wholesome food, serving breakfast, lunch, and dinner daily, with meals that feature local fish, farm-raised poultry and local fruits and veggies. 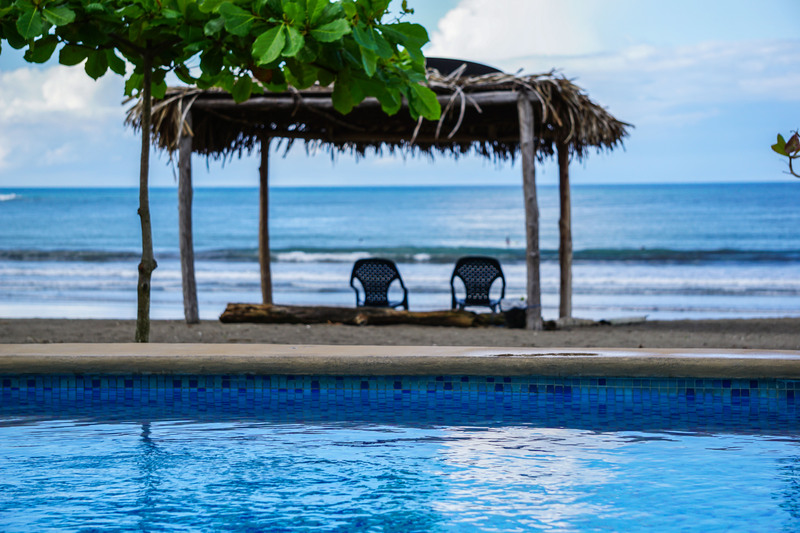 We are nested on the wild natural coast of Panama, with an incredible lush surrounding, right in between jungle and pacific ocean – it is the perfect place for disconnect, in order to reconnect. Surfing conditions are great year round, with the consistent off-shore wind. We are lucky to have all level beach break at walking distance, and plenty of other great breaks, accessible with 4 wheel drive to access to natural untouched beauty of our region – it is the ultimate surfing experience! Our surf team is composed of the best human beings – they are dedicated to take your surfing to the next level while giving you the best time of your life. We have a very unique approach to surfing that you won’t find anywhere else, what are you waiting for to experience it for yourself! You will not only learn how to stand up on a board, but you will learn to ride with confidence and leave our program as an empowered, knowledgeable and competent surfer. Our goal is to provide you with a solid framework and foundation for surfing, one you will take with you anywhere in the world. Surf Sansara’s Learn to Surf Program is designed for all levels, and our team has mindfully created two-, three-, four- and five session packages for you to enjoy during your stay. Set your intention and allow us to guide you so you can crush your goals in and out of the water. Located at the southernmost point of Panama in the Azuero Peninsula, Cambutal is a small village in the province of Los Santos, about 5 hours away from the country’s capital, Panama City. Where the mountains meet the sea, this quiet and nearly untouched area of Panama provides the perfect backdrop for a relaxing vacation experience. Friends have described Cambutal embodying characteristics of a modern day Jurassic Park, boasting beautiful and dramatic tidal changes, stunning mountainsides, an abundance of tropical vegetation, and endless wild birds and monkeys swinging through the treetops. Cambutal is an ideal place to escape and unwind. 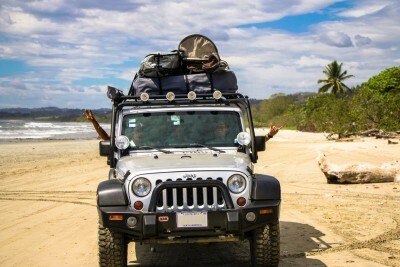 The luxury van transportation to and from Panama City to Playa Cambutal Surf & Yoga Retreat is included in the retreat, so you can just sit back and relax. If you wish to come visit us outside of our retreat calendar, we can help you organise your trip from Panama City with public bus, or private shuttle. Alternatively you can rent a car to give you the opportunity to stop at every beautiful corner on way to Cambutal. You can also choose to arrive at the closest airport of Chitre (2 hours drive from Cambutal). Your surf journey begins in Sansara’s onsite yoga shala; here, you will learn a step-by-step breakdown of the fundamentals and foundation of surf. Apply what you learned in the yoga shala and enter the water with mindfulness, board control and safety, and start catching white waterwaves on your first day! Continue to advance and refine your new surf skills you have learned from day one and two. Your surf journey will continue to unfold in an organic manner, and will be based on your individual progression and ability. Each session is personalized, ensuring you get the most of your time in the water. Let’s get deep. As you’ve committed to our four session surf program, we are equally committed to helping you develop your skills and continue to give you further education so you can really harness your progression and potential in the water. With Surf Sansara’s five- session program, our surf coaches will be identifying and developing your skills that will lead to optimal surf progression. It is our team’s committed goal that you leave with the tools to harness your surf potential. 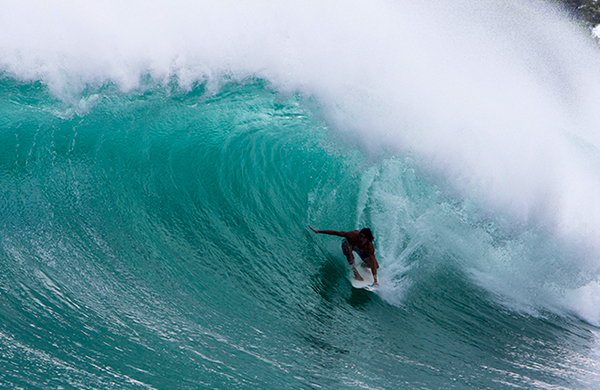 Explore Panama’s best waves and hidden locations in and around Cambutal with our experienced team of local guides. We have an abundance of waves for all abilities within a short drive from the resort. Whether it is a barreling beach break, a rocky point or a slabby reef, our guides will get you to the right spot at the right time. Surfing here can be tricky as we experience large tidal swings; our team of professionals know exactly where to go and when. Allow us to maximize your time in the water and ensure you get the most out of our local world-class waves. Our guides are also teachers, so when you sign up for a guided surf tour, we are also here to offer professional coaching tips and tricks to help you really push your surfing to the next level. We have a new, customised Toyota Land Cruiser and Toyota Hilux specifically built for surf adventures. We drive off road, through jungle and rivers to get you where you need to be. Getting to the surf spot is sometimes just as fun as the actual surf. If you are looking for a true adventure, off-the-beaten-path secret spots and an epic time with some great friends, do not pass this trip up. It will leave you coming back year after year. $100.00 per person, for a half day trip. $175.00 per person, for a full day.